Welcome to Ministry of Pine, and thank you for visiting our website. This is not so much an on-line store as a reference point to show you how we can restore and transform things. It will show you how we can cut dressers in half, stretch sideboards, make double wardrobes into triple knock-down wardrobes, make larders with pull-out work-tops. Things like the total transformation of this dresser. 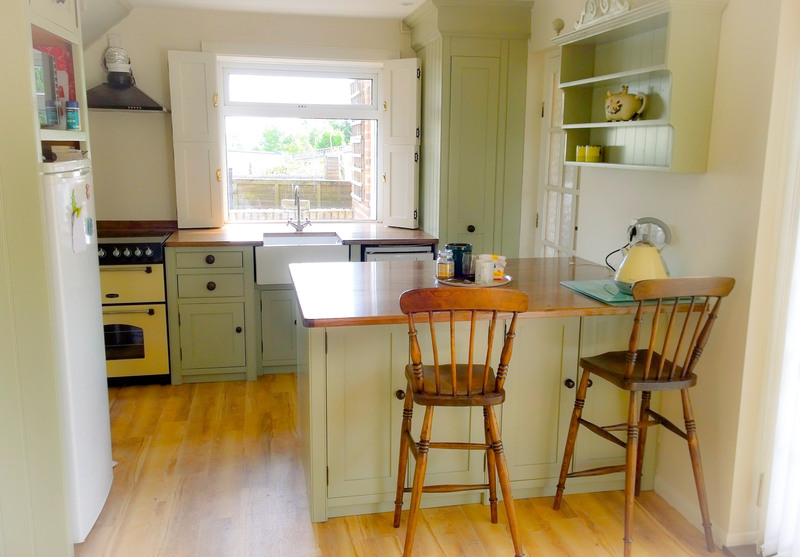 As well as restoring furniture we have been designing and building bespoke kitchens for over twelve years, so please browse through our country kitchens pages for inspiration, and please just ask if you have any queries at all. There are items for sale on this site, some in their "before" state and even a few in their "after" state. There are no prices on the site, you need to have a feel for how we work to appreciate that. Price would vary if you wanted something finished in paint to a waxed finish, and also if you buy more than one piece the original prices are irrelevant. So we find out what you want done to the piece first - then tell you the price. It is not that shocking, honest. People are constantly asking if we will be able to cut things to allow them to go upstairs...yes is the answer...even dressers...take a look. This website is completely up to date. As we buy a new piece of stock, it gets numbered, photographed and posted on this site. Likewise if someone reserves or buys something, the site is updated immediately. We have been based here in Timsbury, Bath for over 19 years, so we are well established, and here to stay. On all the pages the code numbers and details for all of the photographs are on the left or right of the photo, and if there is no number at all, it just means it was something that we sold a long time ago, but is a good reference point for someone looking for the same sort of thing. We have so much more to say and show you than you can fit on all these pages. So, If you cannot find what you are looking for, or you have any questions at all, then please e mail us, and we will do all we can to assist you, emails received during working hours are generally answered straight away, but overnight ones will not be answered until the following day.